High waist tights with a v-shaped waistband to define the waist and enhance your curves. Twisted mesh inserts at the bottom leg. Made specifically for Perfect for Sunday funday or just to chill, this timeless tee is comfortable and cool. Attention to detail is the phrase that comes to mind when discussing the Waverly Tights. A pair of high waisted seamless tights with ribbing at the bottom leg. The stitched front and back rise along with the gusseted crotch increase the movability of these tights. 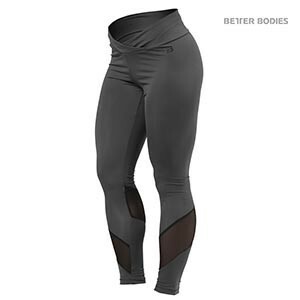 The double folded waistband makes these tights extremely comfortable. The knitted signature curve and the mesh cutouts throughout the legs enhance those athletic curves that you have worked so hard for. Tank tops, can you have too many? We didn’t think so. We took the classic strap tank top concept and gave it a facelift. Made for the gym but designed for the runway. The Waverly Strap Top features a decorative strap with cuts around the bust adding to that feminine look and feel. With a soft, stretchy, and peachy feeling fabric it moves with your body making it extremely comfortable especially during your workouts. Looking for that perfect top that does double duty? The Waverly Mesh Bra is a bandeau style sports bra featuring a mesh part which gives you the support of a medium sport bra and the styling of a crop top. Whether you rock it with a pair of high waisted tights or a pair of shorts this top is sure to keep you cool during the sweatiest of workouts. The all in one sports bra. The open back and crossed straps aren’t just for style, paired with our signature BB Gym Compression Fabric these details give the bra the stability and the support to stand up to all types of training. The Waverly Elastic Bra is a prime example of what we do best, combine fashion, function, and fitness. Lightweight cover up style hoodie for all day comfort and versatility. Ribbed waistband and cuffs at leg opening. Jaquard striped rib at bottom, sleeves and collar. 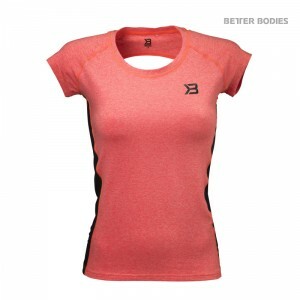 Lightweight, mid-impact sports bra that supports a full range of motion. Adjustable bottom with hook & eye closing. Lined front for superior support and coverage. 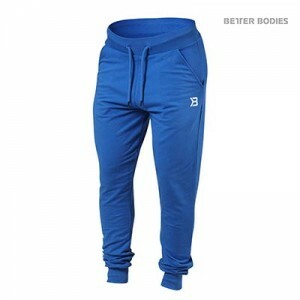 Extra soft tapered pants that are comfortable enough to wear all day long but made of moisture wicking fabric to keep you dry during training. Soft and comfortable cotton/polyester blend. Lightweight and extra soft for a comfortable fit, the Soft Logo Hoodie is carbon brushed and features elastic rib at the sleeves and bottom hem. 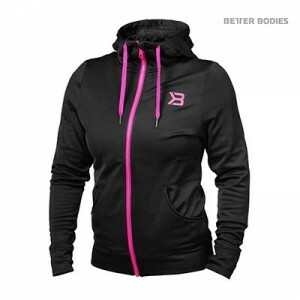 The hood has a contrast colored drawstring and is lined with a Better Bodies print. The Better Bodies print runs to the center of the back. 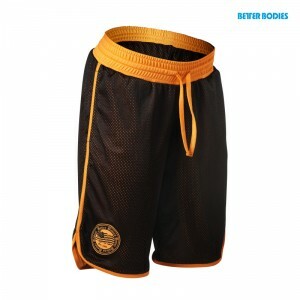 Cut short in sweatshirt fabric the Rough Sweat shorts have a soft elastic waistband for a comfortable fit. Raw edges at the waist and bottom give them an edgy, distressed look. Distinct Better Bodies logo prints are screened at the bottom left leg and rear. Really nice tank with T-back cut. 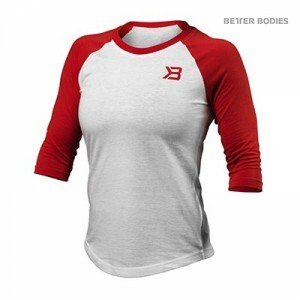 Perfect for the gym or as a cool street tank! Each color way have different print designs as shown in pictures! 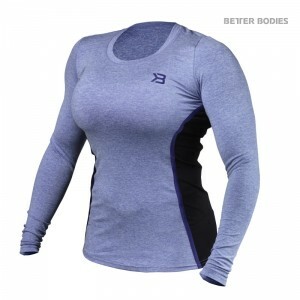 The fine cotton fabric mixed with lycra, deep cut t-back and the athletic shape makes a perfect fit on an athletic body! Really good T-back design! Shows your upper back and help you to see your muscles in motion. Quick dry with a wicking to help absorbe moisture better. Decorative laced back with elastic bands and a deep cut at lower back.